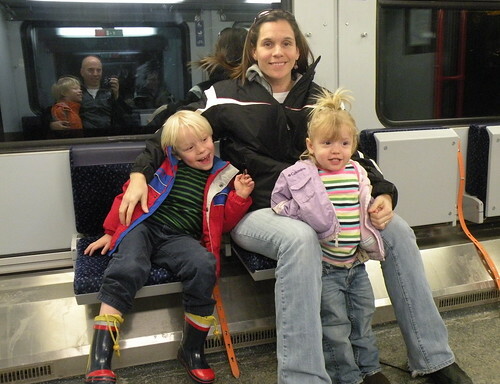 We are pictured above in the train going from M to Bad Gastein. It was the final part of our journey yesterday. We left Belgrade Saturday morning in blizzard conditions and 10 hours later, arrived at our destination. The kids loved the train. It was the first time I’ve see a train that you could place your car on and then ride up on. Bad Hofgastein is located in the Gastien valley and the shortest entrance to the valley from the south, is a tunnel that goes through the mountain. The tunnel is only for trains, hence why we put our car on the train. The alternative is to drive east and enter from the north which adds an hour and a half onto the journey. 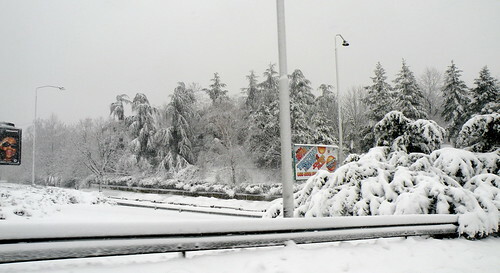 Snowy Belgrade is pictured below – near the entrance ramp to the highway heading to Croatia.